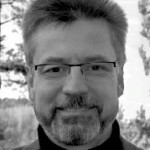 Kjetil Stormark is executive director and editor-in-chief of Hate Speech International. Stormark is a freelance journalist and author specializing in investigative journalism and documentary projects. He is former editor-in-chief of the newspaper Dalane Tidende and managing editor of Laagendalsposten and Varden. Stormark is also a former staff reporter for the Norwegian dailies VG and Arbeiderbladet (later renamed Dagsavisen). Stormark has covered organized crime, intelligence, defence, emergency readiness, terrorism and other forms of politically motivated violence as well as national politics and international affairs. Stormark is a former director of media strategy and crisis communication at the public relations agency JKL Oslo. He served as press counsellor to the Norwegian Permanent Mission to the United Nations in New York when Norway was a member of the Security Council in 2001-2002. Stormark has previously been president of SKUP, the Norwegian association for investigative reporting. He has won numerous awards for his reporting, including the SKUP Award for investigative journalism (1998). Stormark is educated in journalism and political science. In December 2011, Stormark published the book Da terroren rammet Norge (When Terror Hit Norway), and was hired shortly afterwards by Norwegian broadcaster TV 2 as a commentator on terrorism and the 22 July case. In September 2012, he published the book Massemorderens private eposter (The Oslo Killer Files), which provides insight into Anders Behring Breivik’s preparations and contacts prior to the twin terror attacks. PGP public key can be found at our contact page. 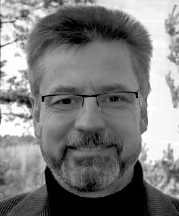 Øyvind Strømmen is managing editor of Hate Speech International. Strømmen is a freelance journalist and author specializing in covering political and religious extremism. In the fall of 2011, he published the book Det mørke nettet (The Dark Web) on the ideological backdrop of the 22 July attacks in Norway. Det mørke nettet has since been translated into French, Swedish and Finnish. In 2013, he published Den sorte tråden (The Black Thread), an introduction to the history of European right-wing radicalism and extremism. As a freelance journalist, Strømmen covered anti-Muslim extremism for several years prior to the 2011 terror attacks in Norway. In 2007 he warned against right-wing terrorism in Norway, and in 2012 was called as an expert witness in the trial of Anders Behring Breivik. Due to his coverage of extremism, Strømmen was named freelance journalist of the year in Norway in 2011 by the Norwegian Union of Journalists (NJ). Strømmen has an MA in religious studies, and is also educated within journalism. He has published work on Islamic extremism, anti-Semitism and other forms of political hatred. Karin Abraham is deputy director and senior project manager at Hate Speech International. Abraham’s greatest interest is in the Middle East. She holds a masters degree in Middle Eastern Studies. In the years 2008-2013 she lived in Jerusalem, where she wrote about the Israeli-Palestinian conflict and the wider Middle East for Norwegian press. She was then a regular contributor to the liberal conservative magazine Minerva and a columnist at Adresseavisen, Norway’s largest regional newspaper. In 2011 Abraham published the book Israel – da fredsbevegelsen forsvant (Israel – when the peace movement disappeared), which recounted the deterioration of the Israeli peace camp since the 1990s. 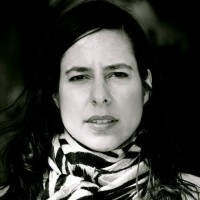 In 2014 she led and carried through a research project on “Price tag” attacks and Jewish settler extremism for the Norwegian Foreign Ministry (2014). Abraham moved back to Norway in 2013, and has since continued to write about and research the events in the Middle East. Rhiannon Smith is HSI’s North Africa editor, as well as the managing director of Libya-Analysis and deputy director of EyeOnISISinLibya.com. Previously she was the Programme Manager for the Middle East at the University of Cambridge Judge Business School, where she managed a Middle East Research Centre focusing on the particular leadership and management challenges faced by Middle East organisations. She lived in Tripoli, Libya from September 2010 to February 2011, and again October 2011 through to January 2014, working for a number of organizations including the Libyan research consultancy Know Libya where she managed a variety of research and training programmes, and international NGO No Peace Without Justice. During her time at NPWJ, Rhiannon worked on transitional justice issues in Libya and in 2013 delivered a speech to the International Criminal Court’s Assembly of State Parties on complementarity with regards to Libya. She has also worked as a Libya analyst for Control Risks. Rhiannon holds an MSc in Development Management from the Open University and a BA Hons in Arabic with French and Persian from the University of Exeter. Jon Wessel-Aas is attached to Hate Speech International as legal counsel. Wessel-Aas is an Oslo-based barrister and partner at Bing Hodneland law firm, specializing in intellectual property and media law. He has extensive experience in these areas, including many years as permanent counsel and litigator for the Norwegian Broadcasting Corporation, and he has litigated several landmark Supreme Court cases on press freedom, human rights and copyright. Wessel-Aas has authored numerous law journal articles and book contributions on media law, privacy and data protection law, and human rights law, and he lectures on the same topics at such institutions as the University of Oslo and the BI Norwegian Business School. Wessel-Aas is a Bsc. Econ. from the London School of Economics & Political Science (1988) and Cand. jur. (LLM) from the University of Oslo (1995). He is the Secretary General of the International Commission of Jurists’ Norwegian section. Walter Gibbs, a contributing editor at HSI, has written extensively about Scandinavia for The New York Times and the Reuters news agency. His freelance work from the region has also appeared in Time Magazine, The Christian Science Monitor and other publications. After graduating from Syracuse University in the United States he spent a decade as a reporter and editor at the Hearst Newspapers flagship, The San Francisco Examiner. Doug Mellgren, a contributing editor for HSI, is a Norwegian-American journalist who spent 21 years as a foreign correspondent for the world’s largest news organization, The Associated Press (AP). He has been to about 70 countries and has covered everything from wars in places like Iraq, Afghanistan and Kosovo to peace talks, the Nobel Peace Prize, the Olympics, politics, whaling, disasters and even international sailing. Mellgren graduated from the University of Wyoming and was an award-winning journalist and photographer in the United States before he moved to Norway in 1983 as managing editor of an English-language newspaper. He later free-lanced for Reuters, The London Times and others before being recruited by the AP news agency in 1989. He resigned from the AP in 2010 to have more freedom to pursue other interests, including writing books, and now lives in his family home in idyllic Rekefjord outside Eigersund in Norway.